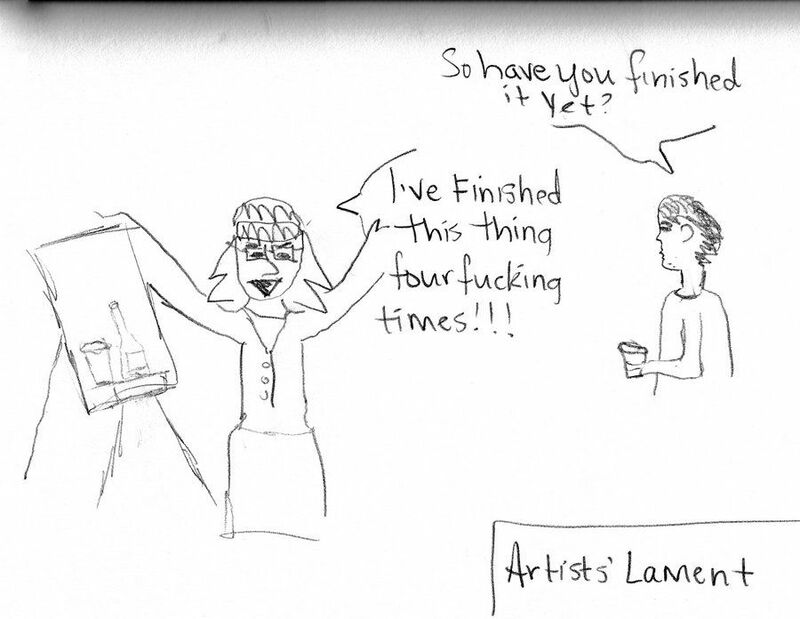 Now, I still don't really identify as an "artist,"
but I imagine this is a day in the life. Let's strangle the word "perfect." depending on our moods, mindsets, BAC, whatever. Maybe we can be happy with "exactly what it needs to be right now." Because seriously, we've got deadlines.